I sprayed the inside of my windscreen black because the gauges would catch glares pretty often coming through it. Well I accidentally scratched a small line of paint off with a tool and need to respray it. What kind of chemical could I use that won't damage the plastic? 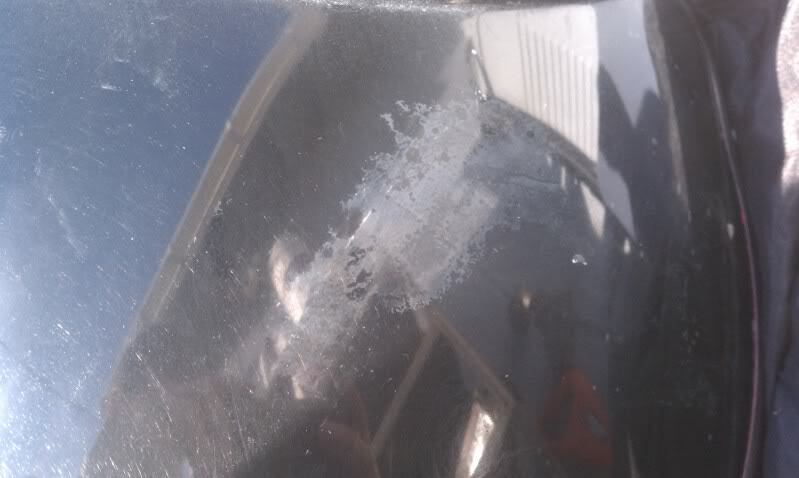 Any type of paint remover will potentially melt or at the very minimum cloud the plastic. Spray it again with what you first sprayed on the inside. Alternatively as it seems you don't mind an opaque screen - rub down the inside with fine wet&dry and respray afresh. I know there has to be something that won't ruin the plastic. I tried touching it up and the new layer made the bottom layer crinkle and it looks even worse now. Did you sand it before you repainted it as Wicky suggested? I didn't sand it, I used the rustoleum paint that is for plastic, it said no sanding needed. I only painted the inside of the screen so its still glossy when viewed from the front, I want to avoid sanding so it doesn't look like **** from one side. Take some wet/dry sand paper, sand the painted areas and feather the edges where the scratch is located. Clean the surface to be painted with denatured alcohol after sanding. Apply another light coat of paint and repeat as necessary to attain the desired coverage. You'll never see the touchup if you follow this method. Proper surface prep is a necessity for a good paint job. I didn't say you had sanded it - but to remove all the paint from the inside you'll need to wet&dry it off. It won't matter if you matt the inside before repainting with what ever paint you choose as the outside will still be gloss. Sorry, I didn't mean to make it out like you said I sanded. If sanding the inside won't affect the look from the outside I will do that. I'm familiar with proper paint prep and temperatures. Touch up won't work, I already tried and this happened, so I just want to strip it and re spray it. As far as a tinted screen, I know I know, but my wife would give me **** for ordering a new part after everything I've already ordered. Stock '99 Yellow upper and wind screen.